The HDMI Forum has announced the release of HDMI 2.0 at IFA 2013, which ups the specification's bandwidth to 18 Gbps (from 10.2 Gbps in HDMI 1.4) and adds a range of new features designed for upcoming Ultra HDTVs. HDMI 2.0 brings support for 3,840 x 2,160 (4K or Ultra HD) video at 60 frames per second, two video streams for multiple users on the same display, dynamic audio/video synchronization, and support for 21:9 displays. On the audio front, up to 32 audio channels are allowed with HDMI 2.0, as well as a 1,536 kHz audio sampling rate, and support for the delivery of four simultaneous audio streams. The HDMI connector hasn't been changed with the upgrade to HDMI 2.0, so the specification is completely backwards compatible with older versions. All current Category 2 'High-Speed' cables will also work with HDMI 2.0, as they can apparently handle the bandwidth increases. It's not clear exactly when we'll see devices that support HDMI 2.0 hit the market, but expect it to appear in the latest HDTVs very soon. 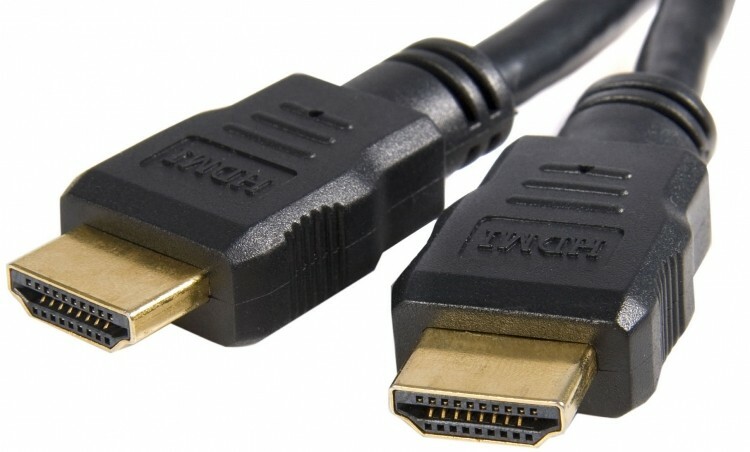 Going into 2014, HDMI 2.0 will have to compete against some of the other major cable specifications that have been updated this year, especially Thunderbolt. Intel's Thunderbolt 2 spec features 20 Gbps of bandwidth as well as DisplayPort 1.2 support, which will allow the simulatenous transfer and viewing of a 4K video via just the one cable. However it remains to be seen if Thunderbolt will become more widespread, with HDMI continuing to be the standard for most TVs and media players.